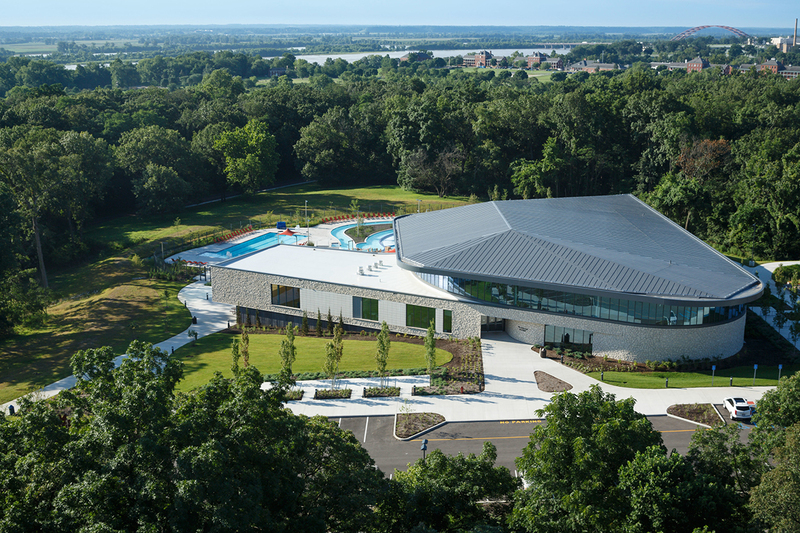 Located in the small, unincorporated community of Lemay in St. Louis County, this community recreation center is a unifying destination for the community and a beacon for its recent resurgence. 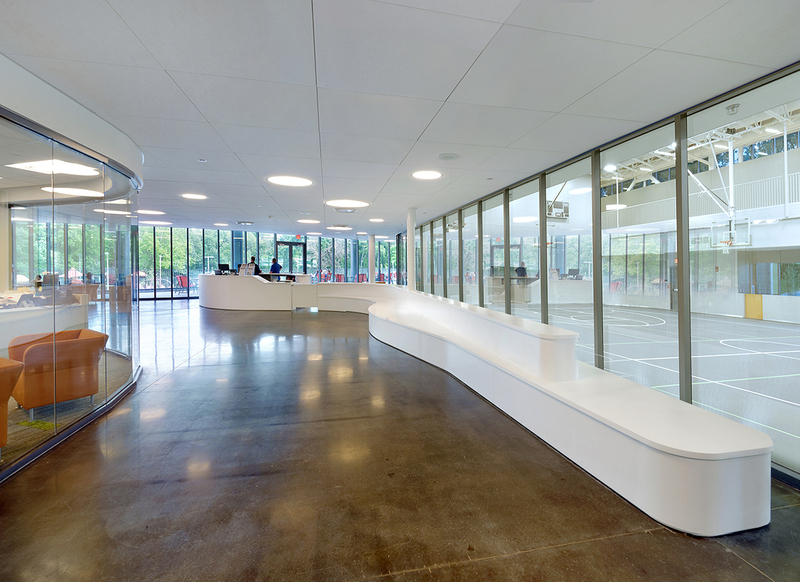 Strategically located to draw synergies to other communal spaces, the center sits adjacent to existing outdoor recreation fields on the western edge of the historic Jefferson Barracks Park, a 450-acre park on the Mississippi River. 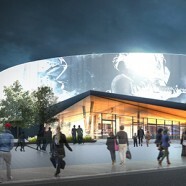 The building features a large, sheltering roof under which dynamic recreational and community engagement can take place. 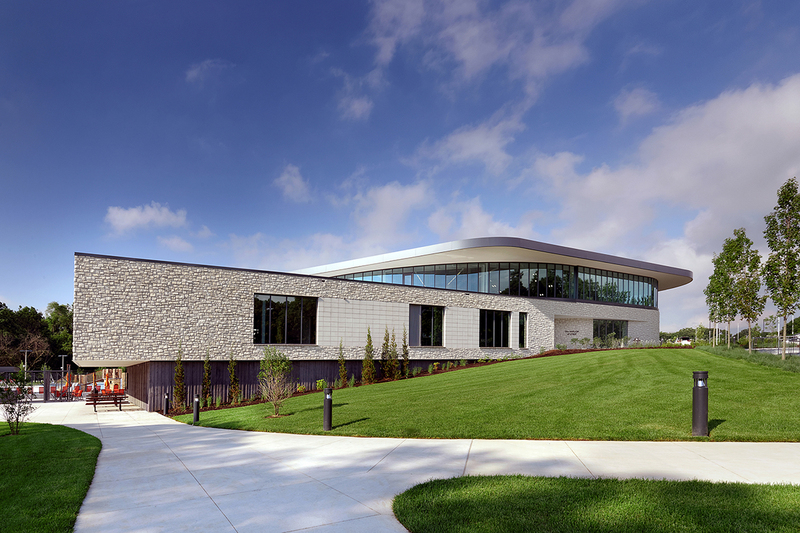 The building’s delta-shaped plan, with its composition of glass and stone, works in harmony to connect visitors to the park’s pastoral setting. 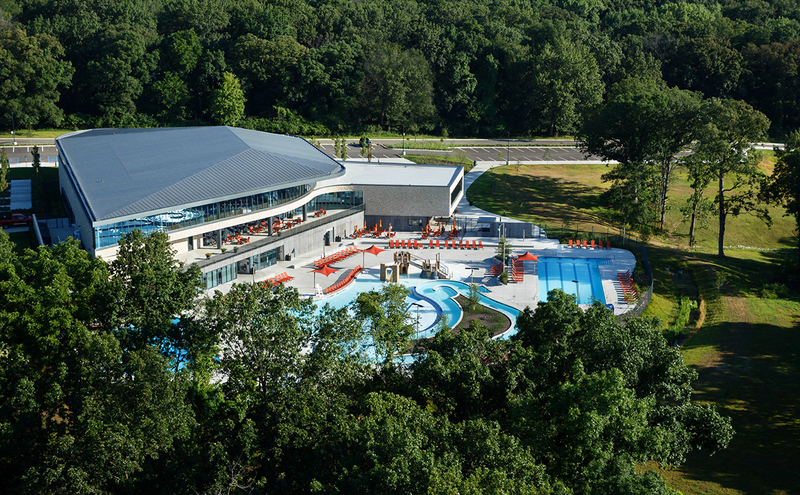 The center also offers abundant and expansive views of the surrounding wooded landscape and historic structures. 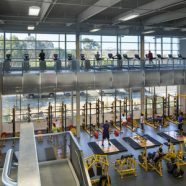 Internal components are organized to minimize operational costs while maximizing flexibility, safety and programming opportunities for the community. 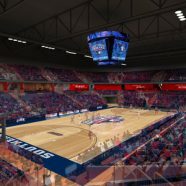 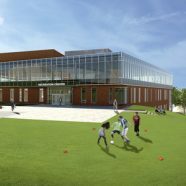 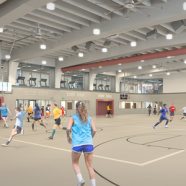 Key features of the recreation center include a large multipurpose event room with adjacent kitchen, a multi-use activity court, weight and cardio areas, group exercise room, an elevated jogging track, outdoor terrace, offices, a public lounge and drop-in babysitting. 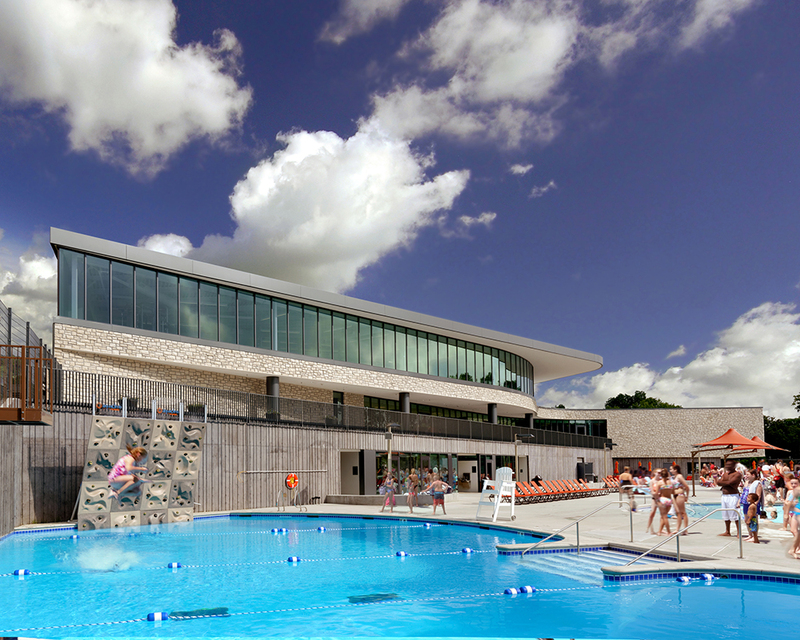 The outdoor pool complex includes a large-beach entry leisure pool with a terraced wet deck and children’s play fort, a fitness pool with 4 lap lanes, lazy river, diving platform and climbing wall.